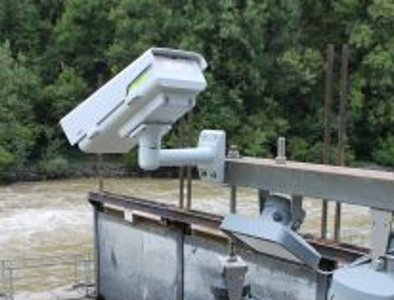 The Grand-Delta Flood Forecast Department (a French government department) measures, monitors and produces forecasts for rivers in a huge, highly flood-prone area (22 river sections and 170 hydrometeorological stations). 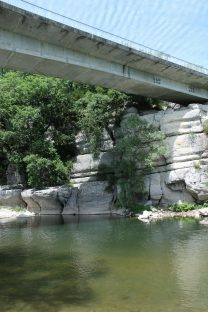 Grouped into three ”hydrometry units” , the SPC-GD hydrometers take regular measurements using different techniques (pygmy current meter, electromagnetic water flow meter, ADCP etc.) 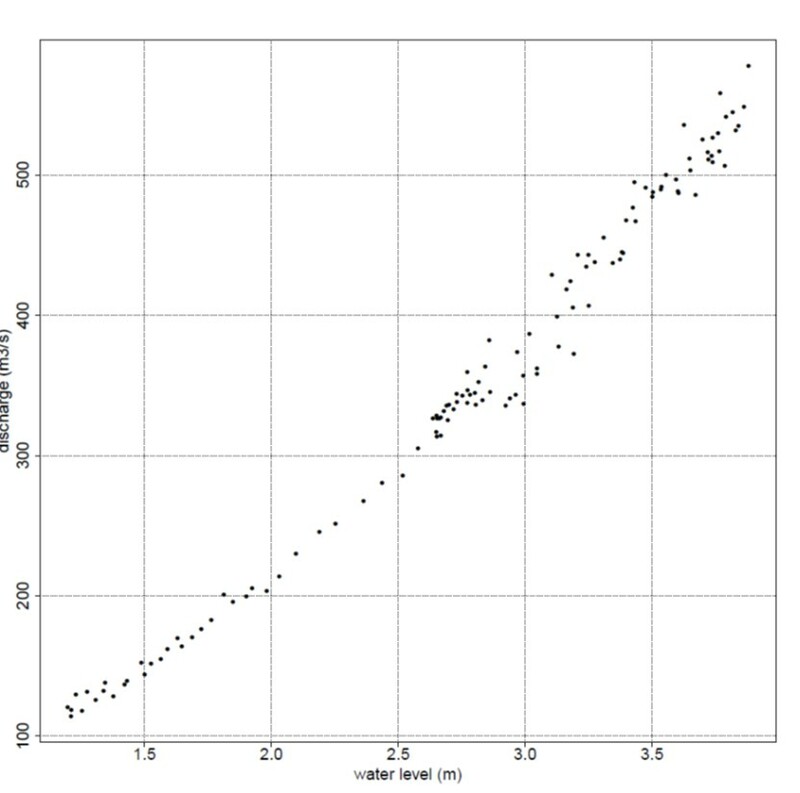 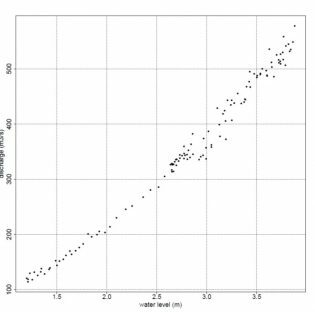 to establish and update the depth-discharge relation (rating curve). 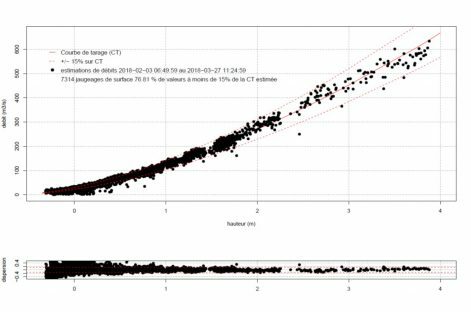 These relations provide an estimate of discharge time series from continuous depth measurements. 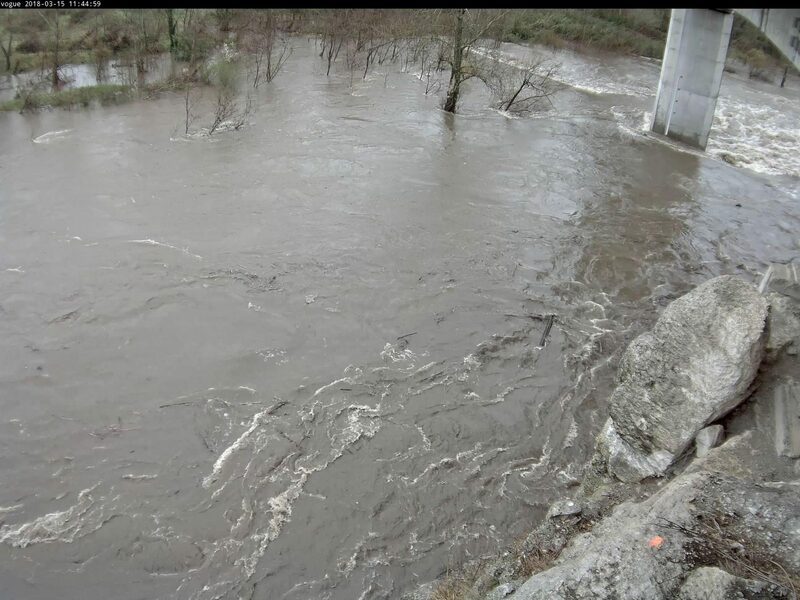 However, measuring flood discharge remains a major challenge for these experts despite the human and material resources and the constraints put in place during such events. 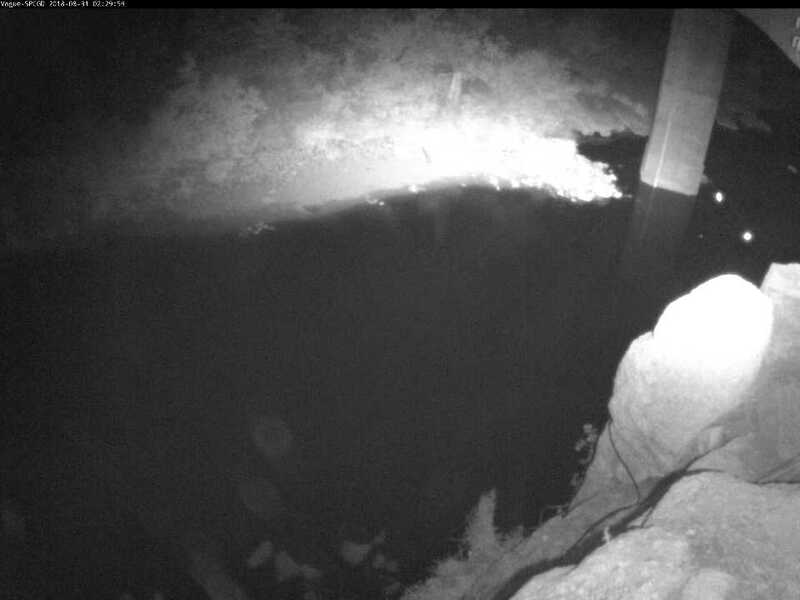 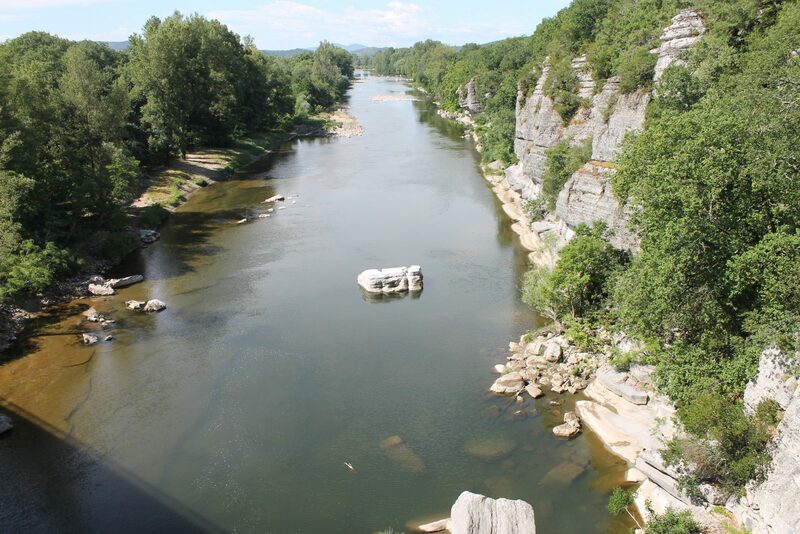 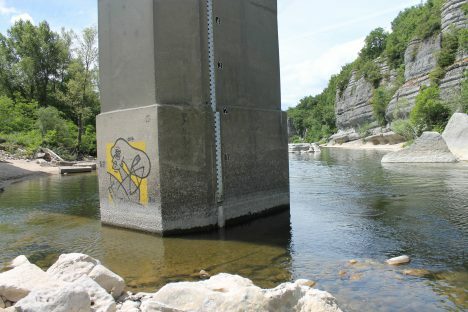 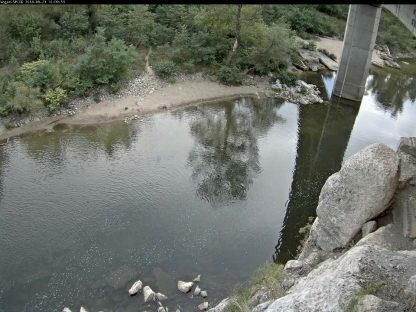 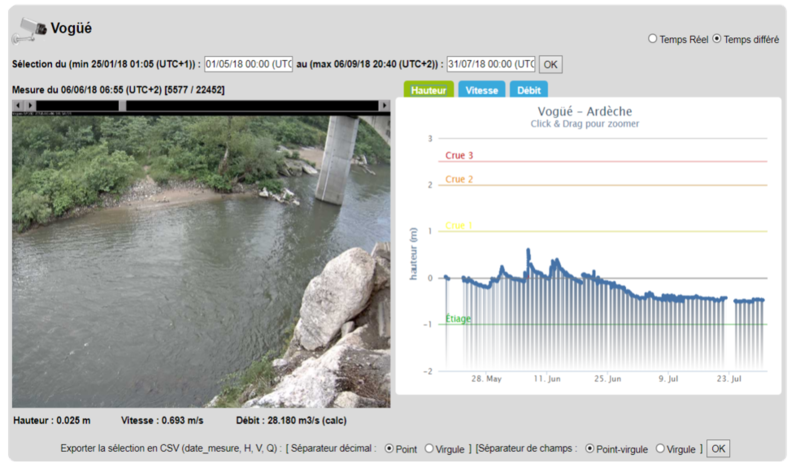 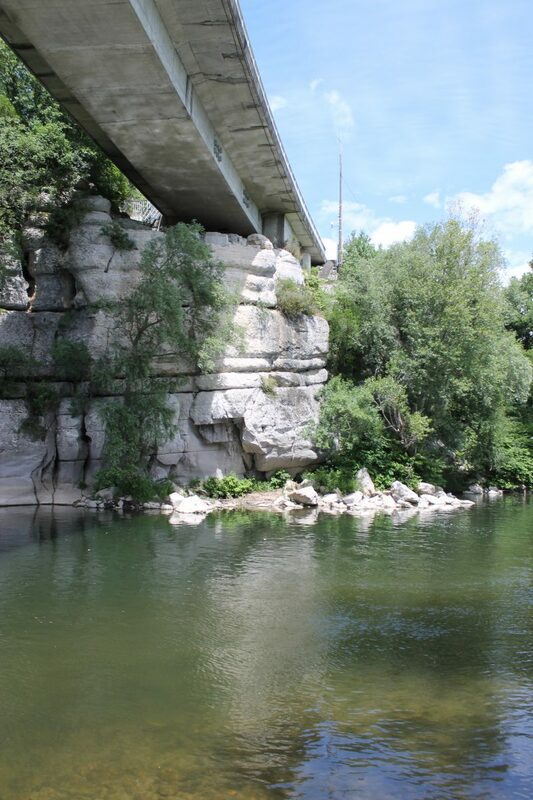 Vogüé hydrometric station on the Ardèche is one of the sites where, even if the teams can be on the site at the right moment, discharge over a certain threshold (250m3/s on this site) cannot be measured using traditional methods (ADCP or current meter). 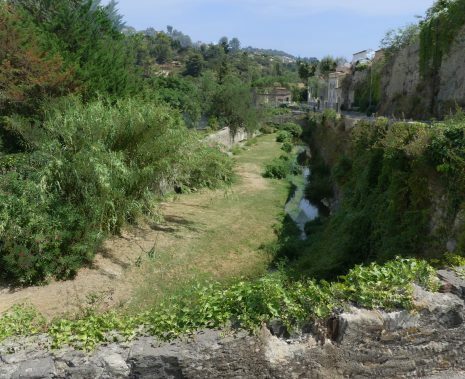 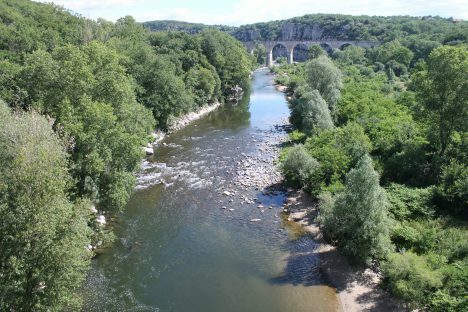 Indeed, the Ardèche river has a Cevenol rainfall-type hydrological regime with potentially severe flooding in the autumn, when “Cevenol” storms occur, and extreme low water levels in summer. 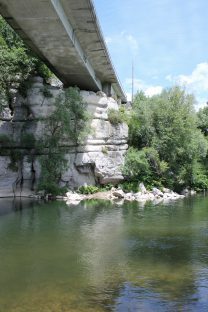 Fed by tributaries upstream of the gorges and by infiltrations from the karstic massif, the river can rise rapidly by 6 to 8 metres in places. 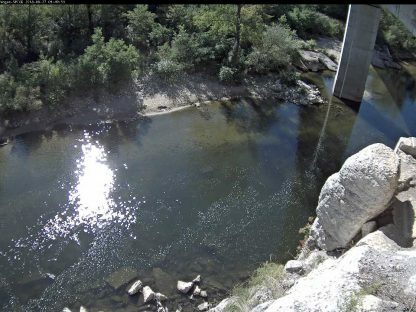 The CamFlow solution has therefore been deployed to improve knowledge of flood discharge on this site where extreme Cevenol hydrological phenomena are encountered. 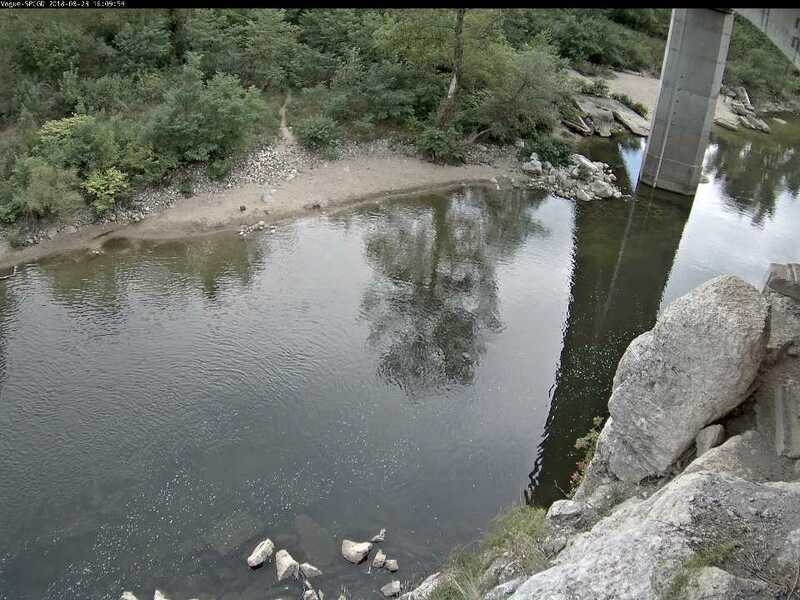 An AXIS P1357-E video-surveillance camera was installed on the left bank under the apron of the bridge. 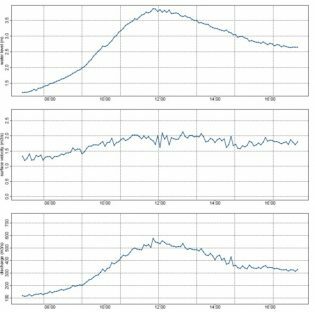 It acquires image sequences every 5 minutes. 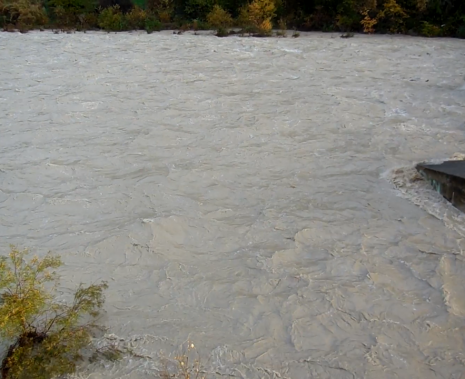 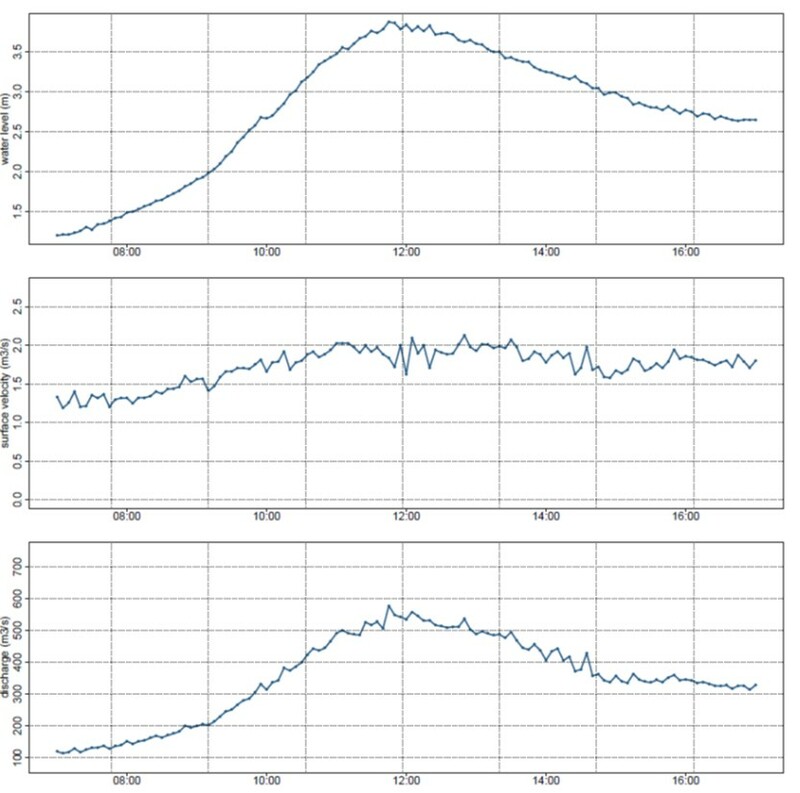 A few months after the camera was installed, the few events that occurred in spring allowed over 200 discharge estimates to be obtained (surface measurements) over and above the gauging limits (range of measurement) encountered when using traditional instruments. CamFlow therefore enabled the SPC’s high water rating curve to be completed.